The nomination deadline for the 2013 Best Construction Blog competition is fast approaching — 5 p.m. EST on Thursday, Jan. 21. Already there are 29 nominations, the most since the competition started in 2010. If you wish to nominate your or someone else’s blog, please share your recommendations right away on this form. As an owner with a project to build, how can you make sure your ideas become reality? I had been working with an owner who had a building that he wanted to make into a showcase museum in a historic area of town. 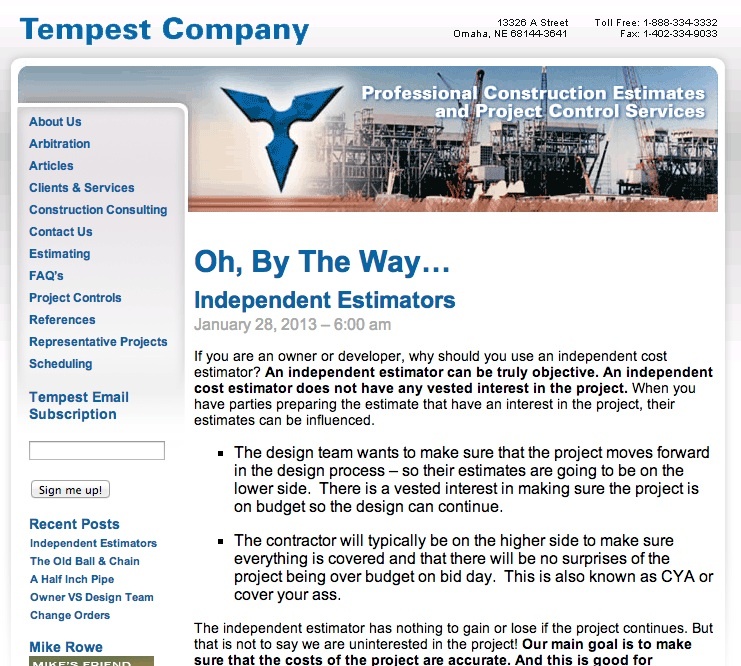 Tempest Company had provided many cost estimates for different configurations for the building with different intents. At the start of the project, the original look and the feel of the existing building, inside and out, was to be kept. On the next design, only the exterior needed to be kept. By the final design, the plans called for the existing building to be demolished and a new one put in its place! Each time the costs came in the project was over budget. One of the designs needed significantly more structural support for a wind turbine on the roof. Another had a metal skin that was sole sourced. The last design team proposed such an outlandish building design, that the entire project was scrapped! So what went wrong? There was a disconnect between the owner and the design team. This break down in communication caused the project to fail. To make sure your project becomes a reality, you and your design team need to make sure you are on the same page with the scope and finances.If your design team isn’t listening to you, then maybe it’s time to find a new design team. Oh by the way… The story had a happy ending, just not for the owner or his design team. A different project came forward and was built in the historic area. A parking garage was put in its place. Omaha, NE-based Tempest, started by Don Short II in 1981 and continued by his son Justin, provides an independent estimating and consulting service. 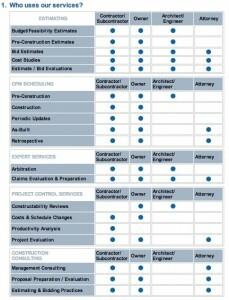 If you are looking for a fresh perspective of construction project costings, you’ll discover value in reviewing this blog.